Need LG Nexus 4 repairs Melbourne CBD? Fixspot offers a wide range of LG Nexus 4 repairs, from broken screens to water damage. For details and prices on our LG Nexus 4 repairs, please see the pricing table to your left. If you can't find the exact repair you are looking for, please don't hesitate to contact us. Call or email us as per the details below. Alternatively, please fill out an enquiry form, located at the bottom of this page. We fix over 400 devices a month, many of them LG products. We know how special these products are to our customers, and strive to produce our best work with every repair. 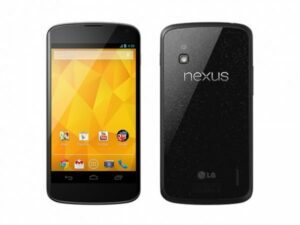 If you need further information on our LG Nexus 4 repairs Melbourne CBD, please don't hesitate to contact us.